I have integrated many systems to empower clients to understand themselves and therefore the process of becoming sovereign beings. These include all those on this page and in addition numerology, human design and various methods of "soul contract decoding". Once clients fully understand how they have been operating and what their higher purpose is, it is much easier to move from illusion to reality. The bigger picture can be seen, understood and integrated. Life suddenly becomes exciting once again. If you would like more information please contact me. I am a Physio/Sports Therapist. All conditions of the body are symptoms. Knowing this I can rectify the physical symptoms by using techniques such as trigger point therapy and myofascial release then work backwards to find the real cause. For example, a continuing lower back problem is not just a physical issue. It has mental and emotional patterns connected to it. During therapy sessions I inform the client what the energetic patterning is which is continuing the symptom. I can then empower the client to change that pattern with many different techniques thereby mitigating the need to keep coming back for further treatments. Please contact me for further information. All issues and problems with the body are symptoms. We are energy gradients finally manifesting as physical bodies. If we are disconnected from higher aspects of ourselves we must Re-connect as a priority to healing the physical body. Renewing Energies must be integrated into the physical body. It is only then that we begin to function from the three brains (cranial, heart and abdominal) instead of just the cranial brain. As we do this our dysfunctional beliefs and perceptions about life can be released. We begin to function holistically. We are the change that each one of us wants to see in the world. But first we must Master Self. We must know thyself and understand how we function so we can once again be Sovereign Beings. Please take a look at my FREE "Connect to Peace" SECRETS course or Self Mastery email course. Both are particularly popular. They describe the actual route I took to function from the "three brains" (cranial, heart and abdominal brains). It is 15yrs work on myself condensed into detailed "how to" information for your convenience. I now teach Know Thyself and Self Mastery techniques. This can be in the form of one to one coaching sessions, workshops, seminars or speaking events. Please contact me for further information and availability. Our Retreats are intimate and numbers are deliberately kept low. The reason for this is so teachings, therapies and know thyself tools can be tailored specifically to the clients unique genetic vehicle, lineage and mental and emotional patterns rather than relating generic classes, teachings and material in a repetitive fashion. Furthermore we can provide the optimum "space" or "presence" in nature for the client to know themselves and to release those patterns that are heavy and unresourceful. Please contact us for further information. If you would like to know more about me please go here. I'm giving away this amazing guide to help you understand why you have negative emotions and how you can transform them by doing a few simple daily exercises. Emotions have very powerful affects on the body. This course will help you to become more healthy. What are you waiting for it's completely FREE!! In this FREE Ebook I introduce key concepts and understandings about the process of change in our "operating systems". I explain how beliefs and perceptions about life hold the key to our own process of alchemy into the Masters we came here to be. For far too long humanity has been at the "beck and call" of powerful oligarchs who have manipulated the consciousness of individuals, groups and whole countries for their own nefarious activities. Now we have the opportunity to change our beliefs and perceptions about life to the extent that we can not only bring our own bodies back into holistic balance but also transform this planet back into the pearl it once was. To do this we must have a basic understanding of how life really works. Our beliefs and perceptions are reflected out into the world and up to this point those beliefs and perceptions have been carefully controlled and forced upon us via main stream media, education systems, government and religion. It is time to take back control of our own "operating system" by creating beliefs and perceptions about life that serve us and humanity. This is the same process of alchemy that the great masters through the ages have been teaching us. Only when we do this on an individual basis will group consciousness reflect out into the world the kind of planet the majority of humanity want to live on. We are the change we want to see. Download your FREE copy. In this 36 Day Self Mastery Course the student is provided with practical sessions and videos such as contemplation exercises, meditations and asanas. It also provides theory sessions which describe the relationship we have to our energetic, endocrine and reproductive (life force) systems for example. The course shows how that relationship directly affects our consciousness levels. The Self Mastery Course describes ways of moving from limitation to creativity and peak experience. Increasing our frequency of vibration still further, we move to the much talked about fifth dimensional consciousness and multidimensional self. David's combination of skills, knowledge, experience and awareness enables him to provide a unique, tailored service for his clients. I had some deep trigger point and myofascial release work which helped to release a number of old, stuck emotional patterns. The impact has been profound with improved energy levels and feeling much lighter and freer, both physically and emotionally. 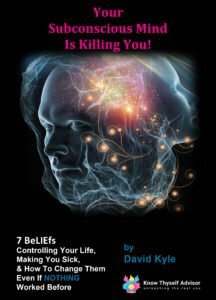 I've subsequently used David's online services (numerology report and Self Mastery course) and have found them enlightening and invaluable in helping to understand and empower myself. What comes across very clearly is David's passion and love for his work and he is, without question, a very gifted therapist, healer and mentor. Wanting to express my gratitude to David for the wonderful sessions you have given me. Whilst I appreciated the technical expertise of our first session and your skill at reading my posture and working with trigger points and stretches it has been the myofascial work that has touched me deeply. As a body worker myself, I am often disappointed with the sessions I receive but this work was just what my body was craving. The slow gentle holding that allowed my tissues to unwind and the emotions stored within them to release was such a joy for me. I felt like you were listening deeply to my inner world – I felt seen, heard and in some way ‘met’. It felt as though I could fully let go and allow whatever came, knowing that it would not be judged and would be totally welcome in the space. The combination of structural understanding and gentle holding you offer is definitely something special. David treated my son age 5 who had severe pain in his hip. Using gentle treatment which my son could tolerate, and working with his awareness of the emotional routes of the problem, he managed to release the muscles which were making walking difficult. With just one treatment, my son was walking normally again. Furthermore I also had a course of treatments with David in which he effectively addressed painful and chronic muscular tension in my neck and shoulder. The treatments not only dealt with the pain but also provided an outlet for what was internally and emotionally being held in my body and in this way initiated a deeper level of healing . I felt very supported throughout this process. In addition to this, he showed me techniques of self massage which I use regularly and find extremely useful. A highly recommended treatment! I went to see David about a complex back problem and had some Myofascial Release sessions which I got great benefit from. As MFR is not easily available in my home town in the UK, I considered myself extremely fortunate to have found someone with such a high level of training and experience. His abilities and knowledge instilled great confidence in me along with his amiable attitude. I would definitely still be having more sessions if I was still in the area. After the sessions I felt much more movement and ease in my sacral and lumbar areas. Both Phil and I have had treatments with David. Phil had been having problems with his back. He had his first treatment with David and it made a huge difference, but it also resolved a couple of other problems he'd had for a longtime. He couldn't lift his arms above head height, after the first treatment his could raise his hands up and above his head. Plus it also cleared problems with his sinus, neck pain and before he could not turn his head now he can. He also had long term knee pain which meant he found stairs difficult. The knee pain has completely gone and stair climbing/descending is no longer a problem. All in all Phil had 5 treatments. I have had problems for years with all sorts of arthritis in my back and suffered with sciatica on both sides. Plus I had problems with my knees, both have arthritis but the right one was particularly bad, I could hardly bend it. Getting in and out of a car was difficult because I could not naturally bend the knee I had to use my hands to bend the knee to get my leg in the car. I had grinding noises in my neck and problems with my arms/shoulders. All in all I also had 5 treatments with David. My sciatica has most certainly eased, my back is more flexible. I can use my knee now - I can achieve a lot of the yoga positions; I can climb the stairs with ease; walking is so much better and I can now do a lot more exercises and I am not in pain. Also emotionally I have also become 'myself' again. The treatments with David are not about manipulation, it's not just massage, it is about returning your body to 'where it should be' and it has given us both pain free lives, more flexibility and a much better quality of life. Optimising every area of your life! From work, leisure and rest to self mastery, higher purpose and soul contract, we cover it all. To arrange a consultation, workshop or for more information send me a message.